Throughout the year, Long Beach attracts visitors with its magical festivities, delightful celebrations and adventurous sports events. One such upcoming event at Long Beach is the Toyota Grand Prix Race weekend which is going to be held in the month of April this year. The event will be presented by Grand Prix Foundation of Long Beach. The purpose here is not just pure entertainment for the viewers but it is held with a social cause of raising charitable funds. Visitors outside Long Beach reach this place every year to have lifetime and unmatched experience of racing with its thrilling events. Known celebrities such as Juan Pablo Montoya, Helio Castroneves, Scott Dixon, Marco Andretti, Ryan Hunter Reay and Will Power hit the Turbocharged cars on Shoreline Drive at 185 miles per hour speed. This speed ride through the city streets is an incredible experience for the celebs and its viewers. Celebrities fight against the well trained pro drivers in Scion FR-S going wheel-to-wheel in a 10-lap race with the aim of raising funds for the charity and witness the long lived fan following. Formula Drift, an annual fan favourite race brings 16 best drifting drivers to fight against each other. This year the eastern end of Grand Prix Circuit will witness the drivers slip and slide their way under lights. The event will be held for two days, probably Friday and Saturday night. A 60 minute shootout battle for the next level IndyCar drivers in the new open wheel and open cockpit race cars is the most awaited and rated event of the Toyota Grand Prix race weekend. The Sunday shootout welcomes the 40 renowned makers such as Acura, Porsche, Bentley, Chevrolet, Ferrari, Dodge, Mercedes, Cadillac, Lamborghini and Audi with their sports cars to exhibit the best racing car in house. Long Beach is a place of diverse culture. The Economic Development and Cultural Affairs of Long Beach supports a variety of services, programs and incentives to ensure that art & culture grows and prospers. Since, Long Beach is one of the most visited tourist places of California, it has become an epicentre of a lively and dynamic artistic place. 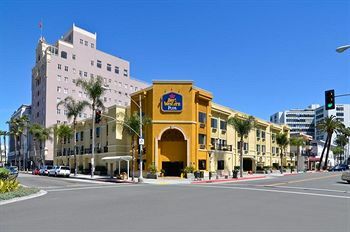 Exhibitions, Ballet performances, Musical events including Opera and Symphony Orchestra and other cultural activities are always going on for people to enjoy their stay at Long Beach. 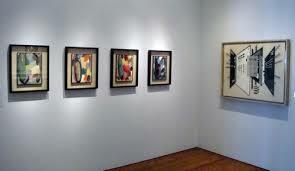 Exhibitions- Exhibitions allow you to see and celebrate the art and culture of the place. Long Beach introduces, ‘Bodies and Titanic-The Experience’, an exhibition that gives intimate and informative view into the human body. Long Beach Museum of Art is another place that conducts exhibitions like A Memoir of Water: Works by Young-Il Ahn and Presence and Absence: Black and White which are some of the best exhibitions to see in Long Beach. The Museum follows the theme of moods of colours in its collection. Music- Ocean itself is a music to our ears and in Long Beach where world-class arts and cultural exhibition complement a spectacular seaside locale, it’s a treat for music lovers to be a part of it. A musical masterpiece at the waterside, Long Beach Symphony Orchestra features some of the best of Southern California’s professional musicians. The soothing environment with live musical events near the seashore make you feel like heaven on earth. Dance & Theatre – The art and culture of any country is incomplete without dance and theatre. Visitors relish their stay at Long Beach by visiting Khmers Art Academy, Long Beach Terrace Theatre and Long Beach Ballet which are some of the finest places for ballet & theatre performances. International City Theatre is an award-winning theatre in Long Beach which is reasonable, delightful to eyes and creates an emotional bridge with its viewers. Long Beach Lesbian & Gay Pride- One of the premiere Pride events that attracts a large number of crowd in Long Beach is The Long Beach Lesbian and Gay Pride Celebration. This festive celebration with several dance performances, is enthusiastic and passionate. The positivity in this parade supporting Lesbian and Gay rights, is a great experience for Long Beach visitors. 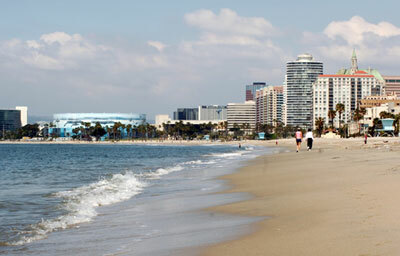 While choosing Long Beach for a vacation, you won’t regret your decision when we call it the Shopaholic’s Destination. Long Beach is well known for its local shopping centres that will offer you pleasing stuff in a few bucks. All retailers being placed at one single place makes shopping enjoyable than never before. In short, shopping at Long Beach will save time and money with more retail options to choose from. The 4th Street, also known as ‘’retro row” is one of the dynamic and ingenious essence of Long Beach that features vintage & contemporary clothing, furniture, accessories, antiques & collectibles, books, rollers skates and skate boards. The street or retro row also provides delightful & soothing restaurants, coffee shops and wine bars along with boast salon and fitness & health services. Locally called as “The Shore”, Belmont Shore is the charming beach side community that offers 15 intersecting shopping streets. The local shops in these streets include lavish boutiques, elegant jewellery shops, gift shops, floral shops, book stores and other speciality shops. The places also serve you with best café houses, bakeries, taverns & specialty food restaurants to dine in. The Artrix – Leather and Fine Art Shop offers handmade leather products and accessories in Steampunk and Celtic design. Soapy Delites – It brings natural soaps & candles along with other aromatherapy goods, essential oils and specialty soaps. House of Jerky – This place offers food products that are produced in the old traditional way with no preservatives, no artificial colours and no flavour enhancers. Company Saga- It offers women apparels in a unique mix & match style. From past few years Long Beach Towne Centre has been an idol shopping, dining and entertainment spot. This centre is spread around one million square feet of area including retailers such as Pier 1 Imports, David’s Bridal, Tilly’s, Barnes & Noble Bookseller, Sport Chalet, Old Navy, Bath & Body Works and PetSmart are some of the front-runners. However this centre also comprises health & service providers like Bank of America, The Nail Spa, Fantastic Sams and Towne Centre Car Wash etc. T.G.I. Friday’s, In-N-Out Burger, Carl’s Jr. and Lucille’s Smokehouse are some of the restaurants available here. Every year around 3 lakh tourists across the globe land in Long Beach to enjoy small sabbatical near the seashore. Being the most visited holiday destination, the city of Long Beach has to excel in providing all necessary facilities be it transport, budget accommodations or restaurants etc. From all of these the city gives 100% safe & convenient transport facilities to its visitors. The city provides free Passport Shuttle to its visitors. You can board this shuttle from Downtown Long Beach and visit all of the must see attractions of the city. A mere charge of $1.00 is spent and your passport links you to local tourist destinations such as the Queen Mary Belmonte Shore, Shoreline Village, Long Beach City College, California University and Bixby Knolls. Long Beach’s transport department provides bus and metro services within the city. The department establishes appropriate rates, schedules and routes to its visitors. The Metro Blue Line system and bus system gets you conveniently and easily to all distant destinations. The city also operates a para and trolley transit services. The city of Long Beach targets to become the most bike-friendly city. Bikestation of Long Beach is an ultimate spot for those visitors, who wish to travel by bike. The station offers convenient space for bike parking, bikes on rental basis, retail sales and bicycle accessories and information to plan commute trips. At Long Beach Airport, you don’t need to struggle for taxi that would drop you to your preferred accommodation. You can also find other transport options that suits your budget. One of them is the Long Beach Airport Shuttle which is more convenient and more economical than a taxi or limo. The shuttle is shared with other passenger going in the same direction. You can even reach your preferred destination via bus or metro following the most suitable routes. Hence, we can conclude that when it comes to transport facilities, Long Beach is safe, convenient and pocket friendly for its visitors.